ANNUAL DECEMBER MEMBERSHIP DRIVE NOW UNDERWAY: Renew your Sustaining or Tribune membership for 2013 by Dec. 31 to get a free WBC souvenir T-Shirt or Cap and full-color yearbook. We urge you to renew memberships for 2013 NOW through the end of the year both to save money with our lowest rates and to vote your choice of the 25 Continuing Trial events and the winner of our annual Sportsmanship Award. Vote to retain your favorite events or introduce new ones when submitting your membership form. Your vote must be postmarked by Dec. 31 to count and be accompanied by payment of 2013 membership dues. Check the full details of membership for payment deadlines and shirt size exceptions. BPA is pleased to once again hold the line on prices and continues to offer what we think is the best value in gaming. WBC is again experiencing enhanced interest from a variety of publishers. Expect to see some exciting new product lines this summer in the vendors room. The Stitches comedy club will remain dark this summer so that we can use the Wheatland room for multi-player gaming all week long! The WBC Juniors room will remain in the Vista room and the Juniors program will be running from Tuesday onwards. The Expo Center has been reserved as a fallback position should it be needed to handle another HVAC failure. The Poolside Pavillion has been added as a secondary open gaming site for those who prefer their gaming by the pool. ONLINE PAYMENT AVAILABLE: Submit your membership application online (and vote) at http://www.boardgamers.org/forms/MemberForm.shtml. (Print a copy for back-up in case there is a problem with the submission.) Pay for your membership by mailing a check or money order payable to "BPA" to 7766 Valley View Court, Hickory, NC 28602. Alternatively, you can use a credit or debit card online using PayPal—whether or not you have a PayPal account. (Payment via credit or debit card is not available at the door.) Simply go to http://www.paypal.com, log-in or click the link to "Send Money Online", and send the funds to paypal@boardgamers.org. If you will be sending the funds from a different e-mail address than the one used in the application, please indicate what and who the funds cover in the PayPal message section. WBC SURVEY: As polltakers we are far from perfect and omitted a choice of "never attended" for those who have not yet been to WBC. However, we'd still like to hear from those who have never been to WBC but are considering doing so and have altered the question to provide that response. Please feel free to respond to the survey answering only those parts applicable to you. Our sincere thanks to all who took the time to respond. We received over 700 replies in the first three days and this will be an important tool in deciding the location and form of WBC in the years ahead as your Board undertakes some very important decisions. To that end, we are asking those of you who have not yet responded to take a few moments to complete the free online survey at http://bpasurvey.drupalgardens.com/. The survey will remain live through Dec. 22 so you still have three weeks to respond. We know you are busy. However, we rarely ask for such information and this will be your best chance to influence the future course of the convention for years to come—from badgeholders to location to prizes—this is your chance to sound off. Whether you attend every year, infrequently, or have never yet actually made the trip but are contemplating doing so, we'd like to hear from you, so please take the time to let us know where you stand. And we'll return the favor later with a thorough analysis of the results. 2012 AFTER ACTION REPORTS: The WBC 2012 Event After Action Report pages complete with the latest Laurel counts and photos as only WBC does them are available at http://www.boardgamers.org/yearbook12/. Laurel lists have also been updated to include the 2012 Euroquest laurelists. We suggest you peruse them to recall last summer's fun or see what you missed before deciding which events to support with your Trial event votes when renewing your 2013 membership. 2013 CENTURY: The initial lineup of eligible events for the 2013 Century and potential Trial events pending the Annual Membership vote and GM commitments has been updated at http://www.boardgamers.org/wbc/orphans.htm. It is now closed to additional entries for the Membership ballot, but we will still accept event forms for Alternate status to fill any vacancies and/or troll for Sponsor support. And you can now claim any OPEN event by completing the required event form at http://www.boardgamers.org/forms/SubmitEvent.php after reading the GM Guidelines linked from the start of that event form. Nothing happens at WBC without a willing GM behind it. But please ... do NOT volunteer unless you are going to fulfill the obligation. We again had to penalize events due to GM failure to keep their commitment. Remember that the next time you lament why your favorite game is not an event at WBC. GMs are reminded to renew their memberships AND submit an event form by Jan. 31. At that time, the first events with a satisfactory GM commitment will be assigned and the Orphans List updated. This new method of handling GM reservations is intended to encourage more involvement among the membership in GM commitments. Even if you are not selected to run an event your offer will highlight you as a possible assistant for that event—and willing assistants are in great demand. Some of your fellow members run or assist in as many as a dozen events. They could use some help. 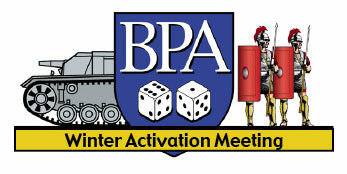 WAM XI: Next up is the eleventh Winter Activation Meeting for players of Card Driven Wargames to be held at the Timonium Holiday Inn, in Timonium, MD Jan. 24-27, 2013. The four tournaments will be Twilight Struggle, Washington's War, Hannibal and Labyrinth plus the usual open gaming opportunities. BPA has secured a group room rate of $99 per night plus applicable taxes for those making their reservations before Jan. 11, 2013 or when our roomblock sells out, whichever occurs first. Full schedule and pricing information is available at http://www.boardgamers.org/specific/wam13ann.htm and register at http://www.boardgamers.org/specific/registerwam.htm. EURO CO-ORDINATION: Eric Freeman is again volunteering to co-ordinate Euro events in an attempt to minimize scheduling conflicts. If you'd like to be part of this effort, contact freemaneric@comcast.net. FACTS IN FIVE: Have you played Facts In Five at WBC and said to yourself afterwards, "Hey, I've got a great idea for some questions!" If so, we're looking to have a guest round of questions. If you're interested in being an AGM and guest round writer, send an e-mail to johncorrado@hotmail.com. BoD NOMINATIONS: All BPA members are hereby notified of their right to nominate members for the three Board seats whose terms expire at the next WBC. To appear on the ballot, a member must be nominated in writing by at least three members; one of which must be himself/herself. Nominations must be signed and received at BPA, 7766 Valley View Court, Hickory, NC 28602 no later than Feb. 28 to be eligible for election in that year. NOTE: Email nominations are NOT acceptable, nor can a member nominate more than one member for the Board. When contemplating nominations, members are urged to consider that the BPA conducts most of its business by email and needs Board members who are able and willing to offer their time and skills to the organization in a timely manner. 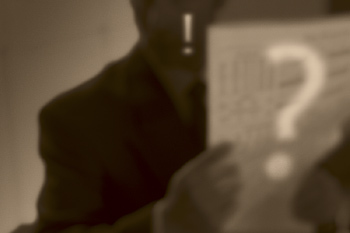 Board members should be considered more for their ability to contribute to the running of a successful company than for their attachment to any particular game or genre. Besides forwarding a signed nomination, each nominee should submit by March 1 a statement not to exceed 100 words summarizing what they can contribute in service to the Board of Directors of the BPA. The nomination form is on line at http://www.boardgamers.org/bpanom.htm. PATHS OF GLORY: The 4th BPA PBeM tournament for Paths of Glory is scheduled for a Feb. 1 start on ACTS. Details are available at https://sites.google.com/site/pathsofglory2013/. To register email the GM at preese444@gmail.com. WASHINGTON'S WAR: GM Keith Wixson will start a new Washington’s War PBeM tournament on Feb. 1. The format will be Swiss-Elimination with four rounds of Swiss play followed by three elimination rounds for eight quarterfinalists. Games will be played via ACTS. For details, see the tournament website at http://mysite.verizon.net/vze4bc94/waw/index.html . To sign up for the tournament please send an email keith.wixson@verizon.net. Players must have a current 2013 BPA membership (at least Associate level) as of January 26 in order to participate. Memberships do not need to be current to enter the tournament, but will be verified prior to the start of play.